These Ninja throwers are constructed from one-piece of stainless steel with two-tone finish. Includes triple pocket black nylon sheath to hold all three throwers while on the move. 7 1/4 in. overall. These were my first ever set of throwing knives and I love them! These knives get fantastic penetration and are great for beginners. the sheath is about ten months old and is about to fall apart however. I would suggest purchasing the set that isn't black (I lost one once while throwing near dusk) and they have a better case anyway. I Just got the throwing set today. These throwing knives are excellent knives. These are big throwing knives i was surprised how big they are.Very sharp and very well balanced. 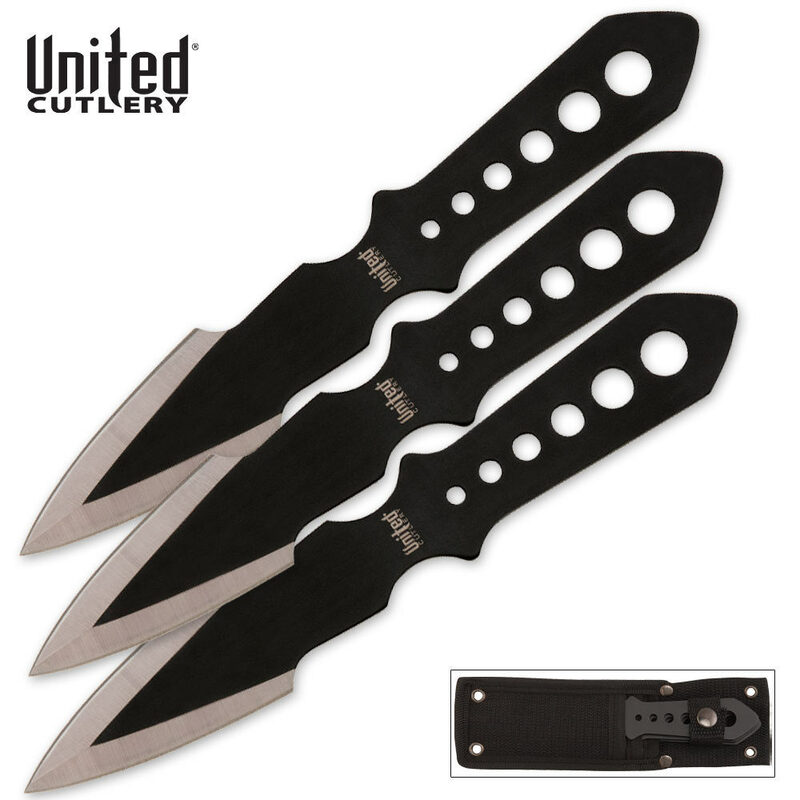 I suggest you to buy these throwing knives. The price is really good.